It is our intent to comply with all government regulations, including the GDPR, as well as common-sense best practices in the information technology industry in everything we do on this site, as appropriate. 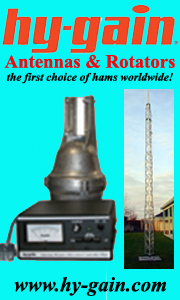 Personal information about amateur radio operators is widely available all over the Internet. One only has to look at the FCC, QRZ.com, HamCall.net sites and the "Callbook" to discover that hams have the least guarantee of privacy of anyone on the Internet! And yet, we at eQSL.cc do not publish listings of our users' addresses, e-mail addresses, or other personal information. We believe people have a right to at least a little bit of privacy! Spamming is a growing problem on the Internet, and we will not contribute to it. Network Security and Encryption ("data protection" in the GDPR) are the fundamentals of secure system design. Our servers are housed in IBM CLOUD data centers with their inherent data and network security protocols. For some time we have been enforcing the use of HTTPS and SSL for all interactions between your browser and our servers. Nobody can see your data while it is being sent back and forth between them. It is up to logger software to ensure that HTTPS is being used in their transmissions. Profile Information ("personal data" in the GDPR) that you have entered during registration or in your Profile screen is not published, except when it is printed on a specific eQSL card or the limited excerpt on the public member profile page (www.eQSL.cc/Member.cfm?Callsign). eQSLs cannot be viewed by anyone except the hams to whom you are sending them, or by our support personnel in troubleshooting a problem with your account. One exception is made in the case where you apply for one of our eAwards, or for an award issued by an external organization, if the award manager needs to verify the eQSL you claimed in your application. Logbooks are not published, so the only person who will see your eQSL is the person who knows the date and band of the QSO. We believe it is against good privacy standards and ARRL requirements to publish a user's entire log, as some sites (such as HRDLog.net) do. We never show full QSO-identifying information (callsign, date, time, band, and mode) to other users, unless it is on an eQSL directed at that user. Portability of Data ("right to data portability" in the GDPR) is made easy through the "Download OutBox" feature you can find at the bottom of your OutBox. This will generate an ADIF formatted log of your contacts that can be imported into other services that offer an ADIF Import feature. Payment Information is never even seen, much less stored, in our servers. We use PayPal and Authorize.net over encrypted SSL links to process credit card and other payment transactions, and we never see your payment source information. The annual PCI Compliance we are required to prove periodically ensures that we test for vulnerabilities, use strong access control measures, and monitor and test our networks. There is no way for anyone to "hack" your credit card information from our system, because we don't have it. Signatures, such as those on your license submitted for the Authenticity Guaranteed certificate are only seen one time by the eQSL.cc staff member or Advisory Board member who reviews and approves it. The license is never displayed to other users of the system. Unsubscribe, but leave your eQSLs so the recipients can continue to use them for eAwards and to print eQSL cards. This can be done with a simple click on the "Unsubscribe" button in your profile. We need Cookies to recognize you, every time you click on something on our web site. The interactions between your browser and our web server are "stateless", which means that each screen you transmit to us and each time you click on something, we have to re-establish your identity. It is not like a phone call, where you establish a connection and maintain that connection through the entire call. It is more like a ham radio transmission, where we have to recognize your "voice" with each transmission, or where you end each CW transmission with DE N5UP, to identify yourself. These are "technical cookies" or "session cookies". We do not use "tracking cookies" that would attempt to follow your actions around the Internet! So, Cookies are a way of sending your callsign with each transmission, and they are the only method we have of doing that with current Internet technology. Here's how it works: When you log in, we send a cookie to your browser, and that cookie is stored in your browser's memory. The cookie contains the date and time, your callsign, and some encrypted identifiers to ensure security of your data. We also keep track of what type of menu you want, your native language for page translations, and other technical data. When you are logged in, as you go from screen to screen, your browser sends us the cookie, and we know who you are and how to format your screens. The Cookie only contains information we have sent to your browser, and there is no way for us to somehow extract information from your hard disk through Cookies. You may have heard bad things about "Third Party Cookies" or "Tracking Cookies", such as those used by third-party banner ad companies to aggregate information across many different web sites. We have developed our own ad rotation software so we only occasionally use third party mechanisms from reputable companies such as Google. Even then, the only information that might be shared across advertisers would be information YOU gave them. They do not have access to any of your eQSL.cc registration information! If you disable Cookies in your browser, we cannot identify who you are, and cannot give you access to your information. The only alternative would be for you to have to input your callsign on every screen, and that would be totally unacceptable to you. Here is some more detailed information about Cookies straight from the organization that controls the standards on the World Wide Web. It costs a lot of money to operate this web site. We have a technical support staff that monitors the site 24 hours a day, 7 days a week. The hardware costs money. We have to pay license fees for the e-mail server, the web server, the application server, and the database server software. We pay for the bandwidth required to transmit eQSL graphics to you. We have to pay for disks to store your graphics and logbooks. And we have spent several man-years to develop the software that runs this unique service. Membership dues cover a lot of this expense on a monthly basis. But we also sell small portions of each screen to advertisers who want to keep hams informed of new logging software, new radios, new antennas, and new accessories, software, publications, and services. This is not a new concept; every issue of QST, CQ, and other publications is filled with advertising, often amounting to 50% of a magazine's total pages. In our case, it only amounts to a tiny fraction of what you see on each screen. Occasionally, these advertisers only want to display their ads to hams in a particular country. Or they may want to display their ads only to users who are working with VHF, or who use digital modes, or who are using a particular piece of equipment. In these cases, we filter our database so that only those users who match the requirements will see the ads. But in no case do we ever provide that information directly to the advertiser. They have to live with our determination of who should see the ads. It is done automatically, without any humans ever seeing the information. If you have any concerns that were not addressed here, please contact the Webmaster for an answer.